The marker, placed in an old cemetery in 1929, will be moved to the town's historical society museum for display with accurate information about the Abenaki tribe. 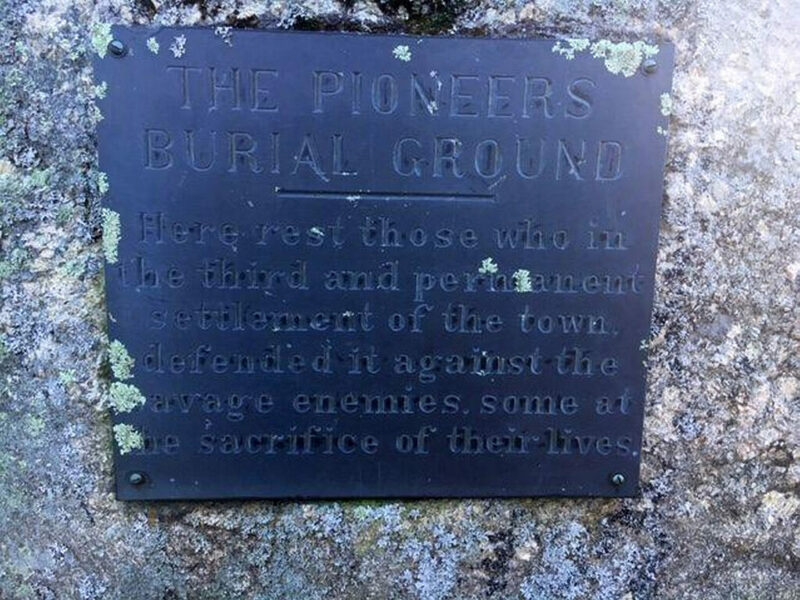 YARMOUTH — The town has removed a 90-year-old cemetery historical marker after residents complained its language was racist and offensive. Yarmouth Town Manager Nathaniel Tupper said he wasn’t aware of the marker’s existence until residents brought it to his attention early last week. “When I saw a photo of it, I immediately knew why it would be offensive,” Tupper said. Before removing it, Tupper had to confirm whether the plaque was a historical marker or if it was a gravestone. Removal of a gravestone is illegal. “Because the text on the plaque said ‘in the third and permanent settlement of the town’ and there was no mention of North Yarmouth, it was more of a clue to me that this was a historical marker and not a tombstone from hundreds of years ago,” he said. Tupper said he also sought additional guidance and contacted the Maine Old Cemetery Association, the Maine Municipal Association, and the Maine Preservation Commission. Tupper said there was no cost to the town to remove the plaque, which measures about 1 foot by 2 feet and was affixed to a rock that is approximately 3 feet wide and 5 feet high. Maria Girouard, who is the executive director of the Wabanaki REACH statewide cross-cultural collaboration, said she was impressed with how quickly the town took the plaque down. Katie Worthing, executive director of the Yarmouth Historical Society, said the plaque will eventually be displayed at the organization’s museum with an appropriate back story explaining its history and the meaning behind the use of the language. Being honest about Native American history and land settlement is a first step, Girouard said. “I believe many people are ready to be more honest about our ugly past and to own it so that we can look at ways to restore our relations with one another and with the land,” she said.